Every Wednesday, Mark Flynn, PhD, Cochlear’s Audiologist and Director of Research and Applications, gives his best Baha tips! Previously, we discussed how you can use the phone clip for making and receiving telephone calls. That same Bluetooth connection can also be used to send music directly from your smartphone to your Baha 4 Sound Processor. In stereo! Simply ensure that the Baha sound processor is in wireless mode and start the music application (or any application, e.g. sports/training) and the audio will stream directly to your sound processor. Just like a set of wireless headphones! Answer: Hi Melissa. Great question! 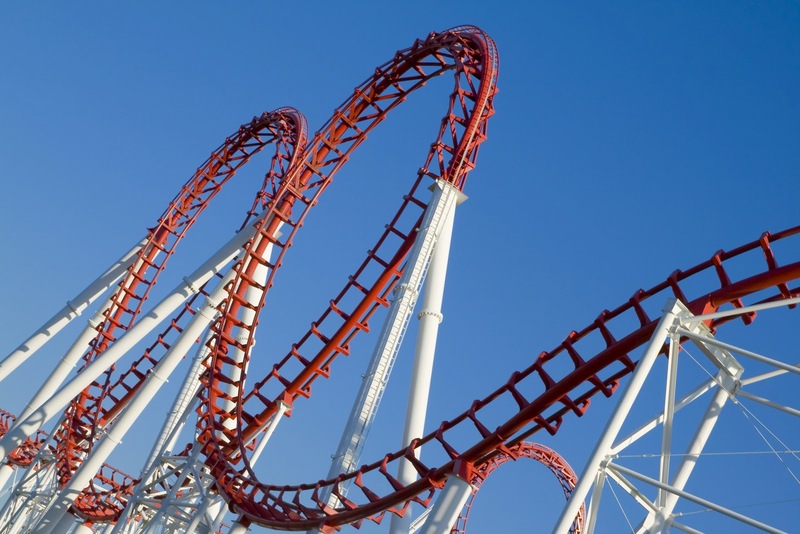 Many newer roller coasters use electromagnets to act as brakes to hold the wheels to give that sudden acceleration and breaking that we enjoy so much! While the magnetic field of the brakes is strong, it is focused with the north and south poles on each side of the wheel so the magnetic field is focused on stopping the wheel. Therefore, rides that use electromagnets won’t interfere with the internal or external magnet of your Baha Attract System or the transducer in the sound processor. The energy field of these is focused, restricted and distant. While the sound processor magnets are well designed to retain in everyday activities, please do take precautions that the external sound processor does not “fly off” during the ride. It would be best to remove both the sound processor and the external magnet for the duration of the ride. You do not want it to come off and break, or lose it. 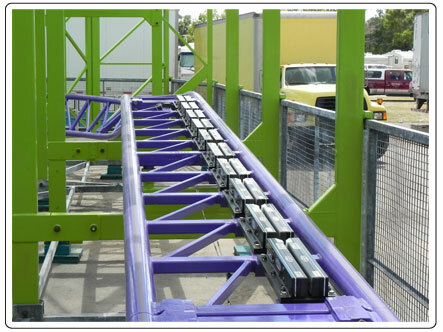 While we do have a safety line, it is unlikely that this would hold the sound processor on many of these rides. Also, since many rides are also water rides (e.g. canyon and flume rides), and the sound processor is not waterproof, care should be taken to avoid it getting wet. Please consult your health care professional if you have any concerns or additional questions on this topic. You can also contact the amusement park you are planning to visit and ask them specifically as they would know their activities best. And – have a great time! Four stories. Four Baha Attract users. A great film from Israel showing four different people living with the Baha Attract System. The film is produced by Tradis Gat. Bacterial meningitis occurs in about 3 people per 100,000 annually in Western countries, and is almost always fatal if untreated. The disease can cause several potential disabilities which may result from damage to the nervous system, for example hearing loss. Baha user Meryl Churchill-Boker from New Jersey, USA, lost all hearing in her right ear after suffering a high fever due to spinal meningitis when she was four years old. During her childhood, she learned to hide her hearing loss by lip reading and carefully positioning herself so she could hear what was being said around her. Meryl suffered from tinnitus for many years and wore a hearing aid to mask the sound of the constant buzzing. 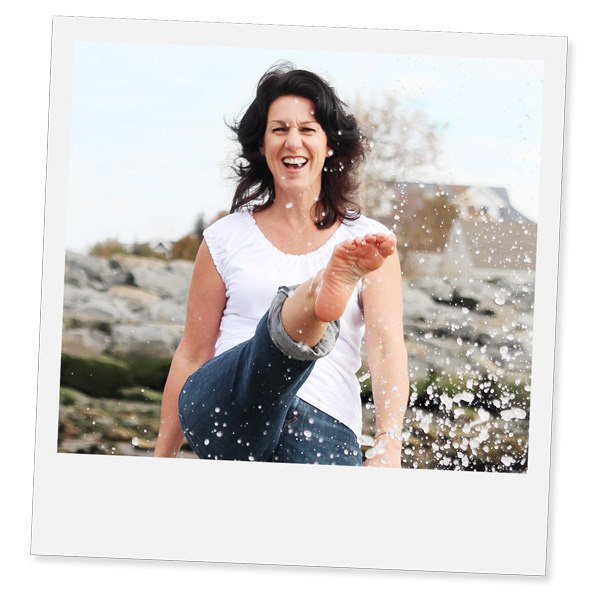 She was looking for an alternative to that when her audiologist said she might benefit from a Baha solution. 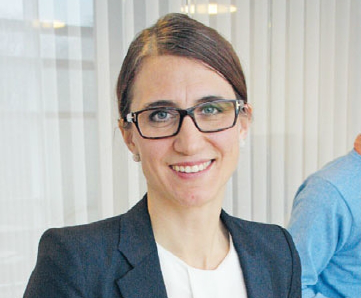 When she was able to try it out in the audiologist’s office and realised she could hear again, she immediately booked an appointment to have the surgery. After getting her Baha sound processor, Meryl discovered a new, fuller world of sound which she didn’t know existed. Being able to hear from both sides was completely new to her. Meryl has also noticed a difference in parenting her 10 year-old son, Ricky. She can now hear him, even if he’s in another room. Driving with him in the car is now no longer a problem. Her right ear – the deaf ear – is nearest the back seat where her son sits, and while previously she couldn’t hear anything he said, Meryl can now enjoy conversations without having to turn down the radio or risk losing concentration on the traffic around her. It may seem like a small benefit, but it’s had a major impact on both Meryl and her son. Read more of Meryl’s story here! Every Wednesday, Cochlear’s Audiologist and Director of Research and Applications Mark Flynn PhD, gives his best Baha tips! If you are deaf in one ear and your other ear is essentially normal, the best solution is often to use the good ear when speaking on the phone. You may want to take off your Baha sound processor or reduce the volume level so that unwanted background noise is not unnecessarily amplified. Always align the speaker of the phone with the microphones of your Baha sound processor – not your ear canal. This way you will get the best transfer of the signal. Occasional whistling can easily be avoided by holding the telephone on a slight angle so that sound is not directly reflected. Work out what the best angle is for you! If you have a Baha 4 Sound Processor, you can combine it with the Wireless Phone Clip accessory. 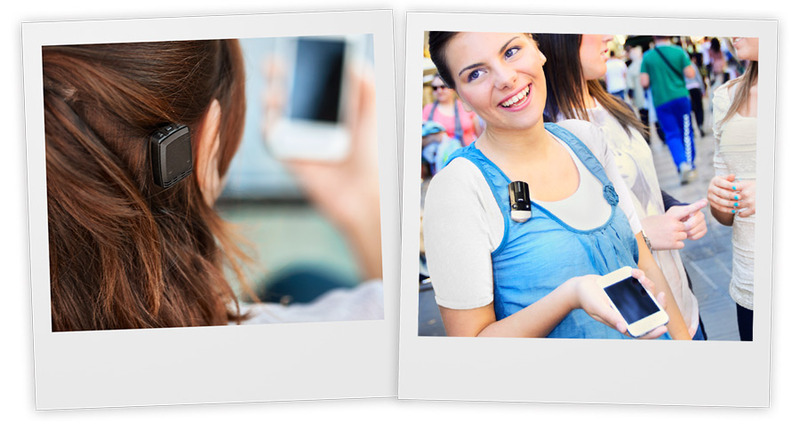 The phone clip works like a Bluetooth headset in that the signal from the mobile phone is transmitted via Bluetooth to the phone clip which sends the signal to the mobile phone. The system works completely wirelessly and the phone clip becomes the phone connection. Discuss the best option with your hearing care professional. Question: When using the Mini Microphone to stream audio via the 3.5mm jack, does it stream in stereo if you have been fitted with a Baha on both sides? Does the device have a dedicated on and off switch, or is it a toggle power button you have to hold in? I am blind, so would appreciated a sliding on or off switch, as I am unable to see LED indicators. I am considering having a Baha fitted to my left side, I currently have one fitted in the right. I was tempted by the Otican Ponto Plus as it has a different shape for each ear, which would make it easy for me to identify the correct Baha that should be used for my left ear etc. I know Cochlear can change the colour of the flashing LED to indicate which side the Baha relates to, is there any other characteristics that can be used for blind users? Perhaps different start up sound or some sort of marking on the device? Does the remote control allow you to use it as a key ring? Why did Cochlear decide to make each accessory separate? I currently use the Phonak Compilot which is bluetooth, microphone, remote control, streamer and has the ability to connect to my mobile phone in one device. I wear this around my neck, and wondered why Cochlear decided to have many devices instead of one. This means if you want a remote, streamer, and the ability to wirelessly interact with your phone, you have to carry many different devices (more to lose). Chris, thank you for your questions. Yes, if you have two Baha 4 Sound Processors, the Mini Microphone (and all our accessories) will stream the audio in stereo. This enables a high quality stereo simple plug and play option for listening to audio from your stereo, MP3 player or any device with a 3.5mm audio jack. Simply, plug the cable into the audiojack, connect to the Mini Microphone and then audio will be automatically streamed direct to your sound processors, and in stereo! There are two ways to turn the Baha 4 off. First, you can remove the battery which will completely turn off the sound processor. Second, you can hold down the back button on the sound processor which will place it into a “stand by” mode with a very low battery drain. The sound processor can then be “woken up” by holding down the front button. We made a change with Baha 4 Sound Processor to have the buttons work with the same way when worn on the head (i.e. back button = off, front button = on), this has improved usability. I can see the discrimination between the left and right sound processors would present some additional challenges for you. There are a number of solutions to help you distinguish the right and left sound processors due to your visual loss. As you highlight, it is important for the best possible performance, to make sure they are worn on the correct side as they are configured for your hearing loss and the microphones are calibrated for each side. Your hearing care processional could adjust the pitch of the beeps so when you change the settings these could be a different pitch for each ear which would help you know if they were inadvertently placed on the wrong side. Or, the beeps could be turned off for one side versus the other. In terms of tactile feeling, there are a number of solutions. You could have a tamper resistant battery door placed on one side which will feel like a small ridge. The hearing care professional can provide stickers which you could place on one sound processor which would provide a tactile discrimination between each side. The remote control makes it easy to adjust the volume and program settings of your sound processor. Unfortunately, there is no key ring attachment. Although, that is a great idea and something we should look into. Thank you! In the rapidly developing world of technology, different hearing care companies have different solutions for wireless accessories. We decided to use the newer and more advanced 2.4GHz solution as it does not require a neck loop streamer so is a true wireless solution. Other solutions would require the external microphone to communicate via a gateway or streamer that you would wear around your neck. The avoidance of a gateway reduces the signal processing delay required to convert the signals and allows you to have full stereo sound. Therefore, the sound quality of the signal should be superior. Working with your hearing care professional you may find that one accessory may be able to meet your needs. For example, for some one like yourself who wishes to take advantage of all functionalities you may find the phone clip to be the best all round accessory as you can connect to any bluetooth device and use the volume and program controls. Thank you for your questions, I hope we provided some clarity! 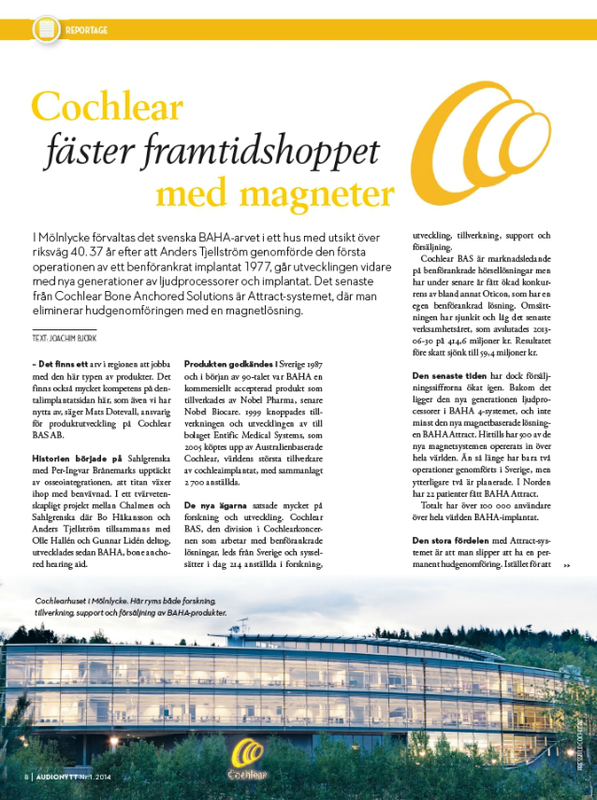 Cochlear, the Baha Attract System and Baha 4 user Noel, are all featured in the April issue of the largest Swedish audiology magazine, Audio-NYTT! The biggest advantage with the Baha Attract System is that you don’t have anything penetrating the skin. Instead of snapping the sound processor on to an abutment, it’s attached using magnets. This is both cosmetically appealing, reduces the need for daily care and minimises risk for infection. 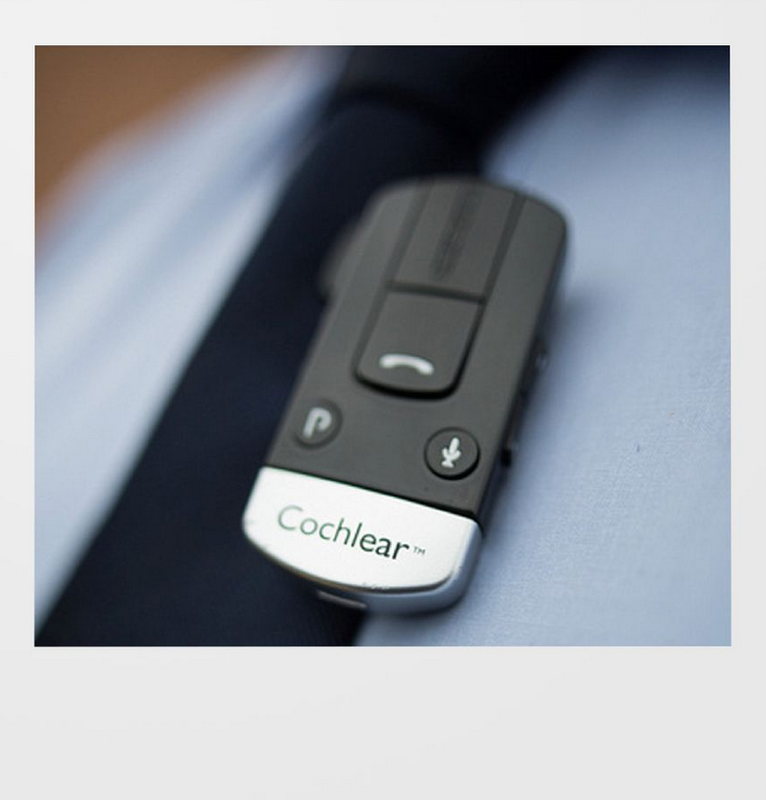 With the new Baha 4 Systems, Cochlear also introduced a wireless sound processor with accessories like the Mini Microphone and Remote Control. In the building there is a department focusing on clinical research, with a high-tech hearing lab. 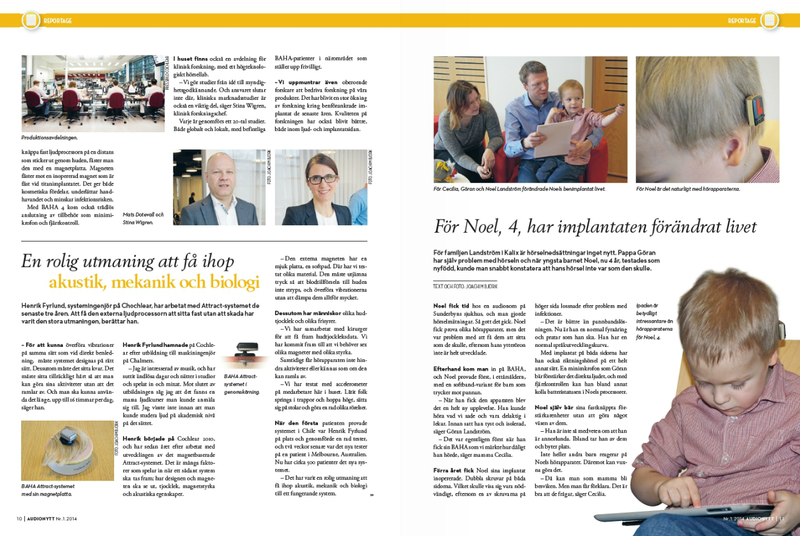 Depending on how good your Swedish is, you can read the whole article here!